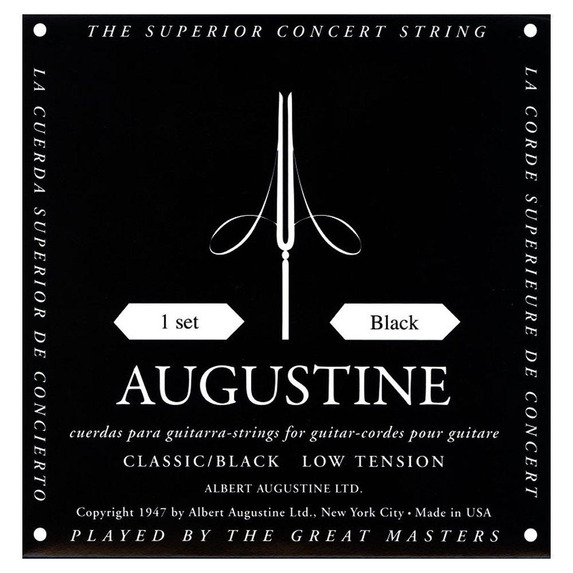 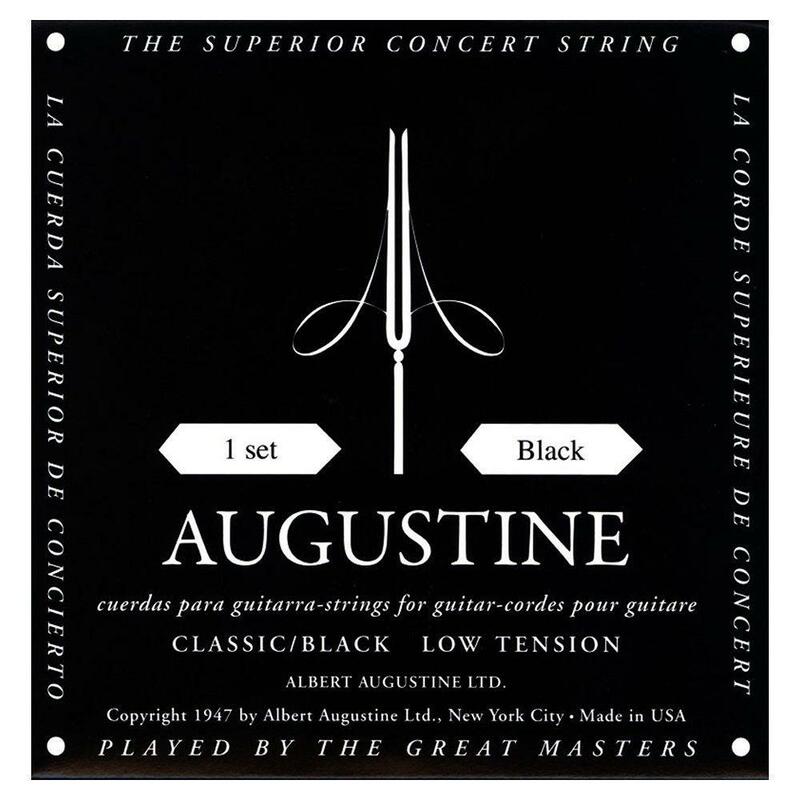 Augustine Black Label strings in low tension comprises of 3 "Augustine Classic" clear nylon treble strings and 3 "Augustine SP" silver plated copper wire that is wrapped around a nylon core wire, which gives a clear, gentle, lasting tones. 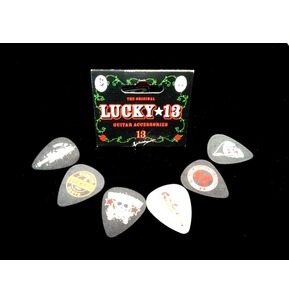 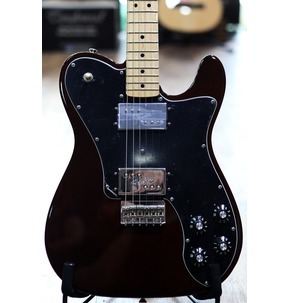 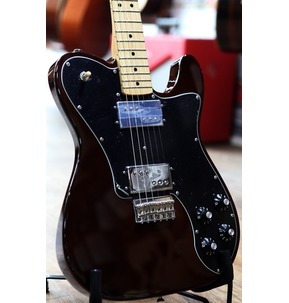 With plain ends, this low tension set have a light string gauge that are easy to play. 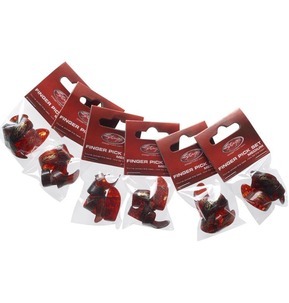 From the high e, the string thicknesses are 28, 32, 40, 28.5, 32.5, 43.5.